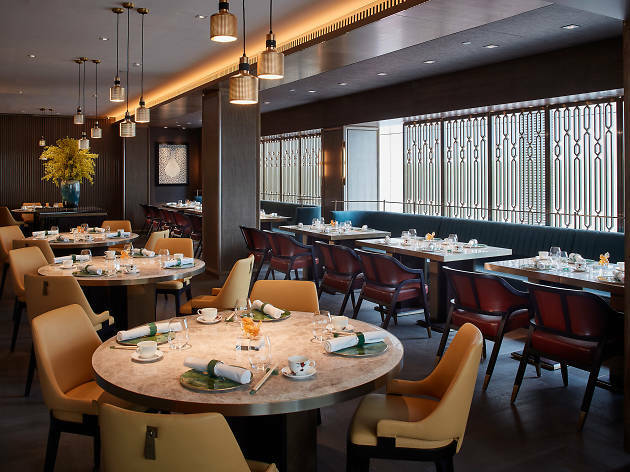 Helmed by chef Siu Hin-chi, previously of T’ang Court and Duddell’s – both the recipient of Michelin stars – Ying Jee Club could’ve been an exciting new opening if if weren’t for ZS Hospitality’s wonky record of recent openings. While Home: Eat to Live (RIP) and Moi Moi were impressive, Ee Da Le was hugely disappointing and My Tai Tai so-so. As we enter Ying Jee Club, we’re greeted by pleasant yet uninspired decor and a rather empty restaurant. A glance over the menu indicates this isn’t going to be a wallet friendly affair. 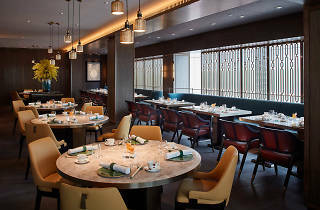 Still, we order with the hope that the quality matches that of chef Siu’s previous restaurants. First up is the char siu ($260), which arrives glistening at our table. Unfortunately, the ratio of fat to meat here favours the former and the glaze is thin, lacking caramelisation. It’s decent, but there’s better char siu for a fraction of the price at many other eateries. Next is the sautéed minced pigeon with olive seed wrapped in lettuce ($220). 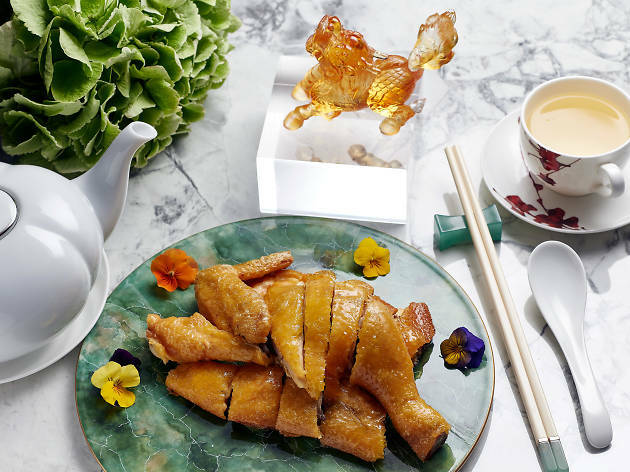 This dish fares better with crispy wonton chips adding a playful texture, though this could be any minced dark meat. There’s no particularly gamey flavour to be savoured. 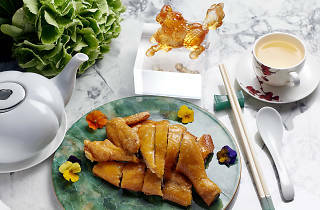 We were huge fans of chef Siu’s crispy chicken over at Duddell’s, and order a half portion ($280). The skin is satisfyingly crisp, if a tad oily, but the meat is tough. The sweet and sour pork ($260) is a mixed bag. Although the sauce is fairly pedestrian, it doesn’t make the well seasoned batter soggy.Too bad there’s not much pork on the serving plate. We’re excited when we see another Duddell’s favourite, sautéed water chestnuts with asparagus, yellow fungus and walnuts ($160), on the menu. It’s a satisfying medley of crunchy textures and sweet walnuts that pleases the palate, but the quality’s just not as good as the original. At least the XO sauce fried rice with diced garoupa, scallop and shrimp ($260) has generous chunks of fresh seafood to keep diners happy. Though we leave full, we’re not very satisfied and our wallets are empty. We can’t help but think our money would be better spent at a cheaper, more down to Earth eatery.